After graduating from Purdue University in 1983, Henry O. Burch, Jr., P.E. began his professional engineering experience working for Heavy Civil and Bridge Contractors. From 1983 until 1994, Mr. Burch was responsible for a number of high profile projects where he honed his experience in Estimating, Project Management, and Field/Office Engineering in the heavy highway and bridge sectors. Prior to becoming a Professional Engineer, Mr. Burch worked in a family owned and operated marine construction company working along the Ohio and Green Rivers. During this time, Mr. Burch learned the value of hard work in a demanding industry, working in virtually every area of the business from general labor to Job Superintendent. In 1994, Mr. Burch recognized a need for Engineering services focused on contractors who did not have in-house professional engineering capabilities. Based upon the recognition of contractor needs, Mr. Burch formed O’Bryan Engineering, Inc. 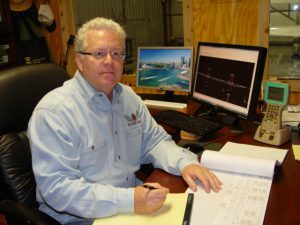 Initially, Mr. Burch focused on Construction Surveying and Field Engineering completed with the technology of the day – Total Stations and Auto Levels. As technology advanced, O’Bryan invested in GPS and CAD software, greatly increasing accuracy and productivity for our clients. As the business continues to morph, Mr. Burch continues to focus on leveraging technology to provide the services his clients require to effectively operate in a competitive marketplace. 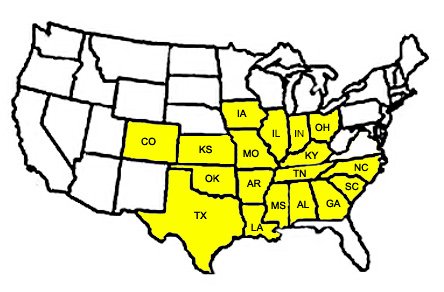 We provide services from the largest statewide projects to small county-level bridge replacement projects. No project is too large or small for O’Bryan Engineering, Inc. Due to the complexity of many of our projects, we carry the proper insurances to ensure our clients are protected.